Bang!! Caffeinated Ice Cream is a Superb combination of the most Delicious Wisconsin-made Super Premium Ice Cream, and Everyone's best friend, Caffeine! Bang!! Caffeinated Ice Cream is made in the heart of Ice Cream Country; Madison, Wisconsin, where Ice Cream is a way of life. Try a scoop and we promise you'll fall in love... and we guarantee you'll be Wired. 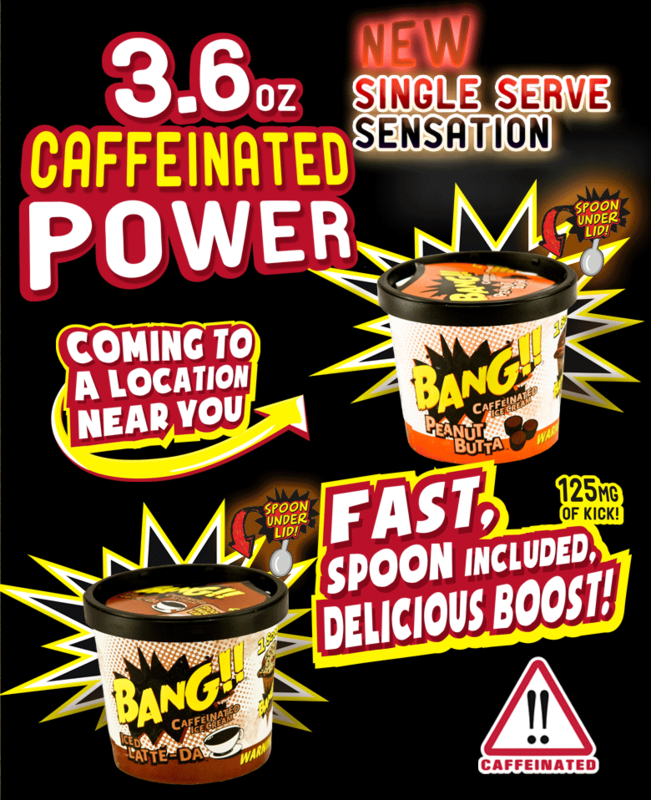 Complete your work faster, avoid boredom, have an excuse to eat ice cream for breakfast, and best of all, enjoy a Bang!! everyday! Delightful Review of Bang!! from IceCreamBloke.com! Bang!! Caffeinated Ice Cream -Iced Latte-Da Won 2nd Place in the 2011 World Dairy Expo!! Awesome!